Sainte-Anne-de-Bellevue is the second oldest community on the West Island of Montreal, the parish was founded in 1703. As a result, the built heritage of the village is very rich. As early as the 17th century, Sainte-Anne church was the last stop on the island of Montreal for all travelers heading to the "Pays d'en Haut" (i.e. the Great Lakes). 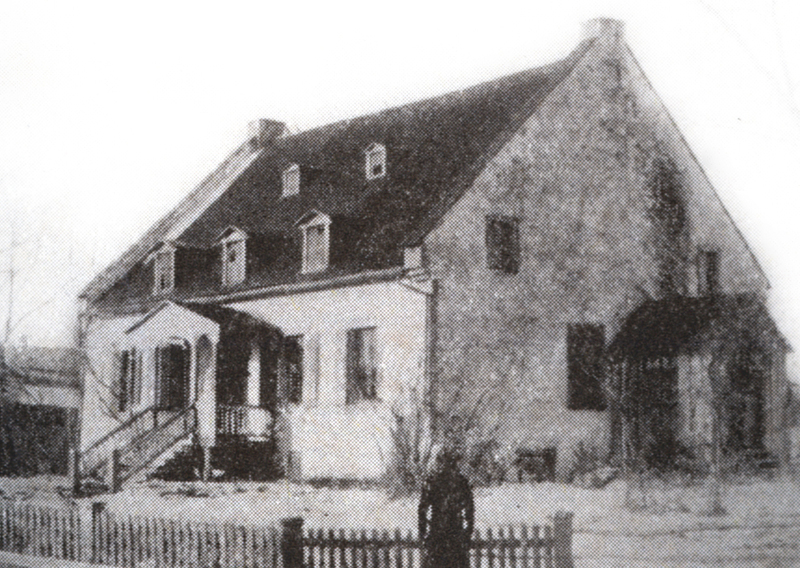 Simon Fraser (1776-1862), a major fur trader, owned a house there, built around the year 1800. In the 19th century, the shores of Sainte-Anne become popular with Montreal's English-speaking bourgeoisie, making it a holiday resort. Several stately country houses are built on the shores of Lake St. Louis at that time, some of which are still in place today. In 1918, the Garden City Press, an important business for the urban and economic history of Sainte-Anne, establishes itself. Garden City Press is a textbook and educational material printer owned by J.J. Harpell. This businessman is influenced by the theories of Ebenezer Howard who advocates the organization of garden cities to eliminate insalubrity in cities. With this in mind, Harpell aims to help his employees acquire property and he pays special attention to land development around his printing house. Streets, parks and urban infrastructure are developed and 25 houses are built for workers near the printing house. During the Great Depression, Harpell hires unemployed people to plant trees and asks Frederick Todd to create a luxurious Japanese garden with a pond in front of Garden City Press, of which unfortunately nothing remains today. In 1945, Harpell transfers control of his company to a worker cooperative. The Simon Fraser House was built between 1790 and 1810 for Peter Grant (ca. 1764-1848), a partner in the North West Company. Legend has it that Irish poet Thomas Moore (1779-1852) would have composed his famous text "The Canadian Boat Song" there in 1804. Following the fire of the Seigneurie de Bellevue manor in 1820, Simon Fraser (1760-1839), owner of the estate and also a partner in the North West Company, acquired the house to make it his mansion. 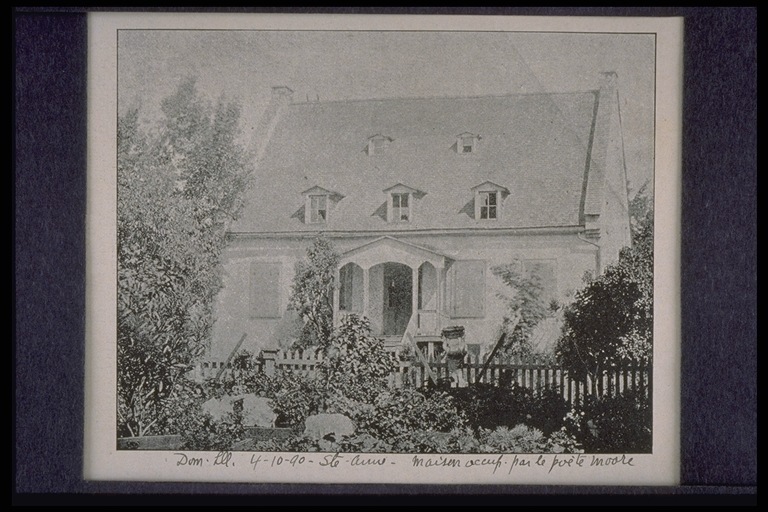 His descendants kept ownership of the house until 1965, when it was sold to the Canadian Heritage Foundation of Quebec. Between 1850 and 1890, the house wass modified, with the addition of a Neo-Gothic porch on the front and a drum on one of the gabled walls. It underwent further modifications in 1892-1893, when it was subdivided into two dwellings. Subsequently, dormers were fitted with low-arched pediments, while firewalls supported by stone brackets were shaved when the roof was modified. From 1906 to 1954, the property is home to a branch of the Bank of Montreal. 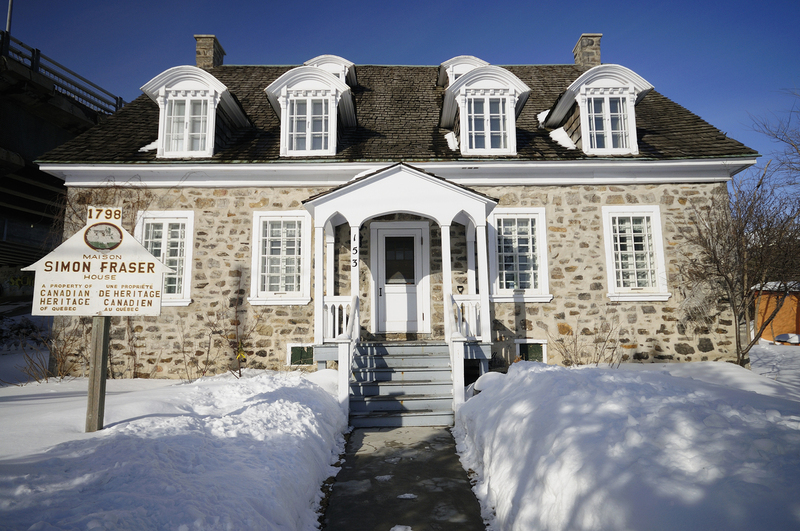 With to the support of the Bout-de-l'Isle Historical Society and the Canadian Heritage Foundation of Quebec, the Simon Fraser House was restored in 1962, in keeping with the evolution of the building. 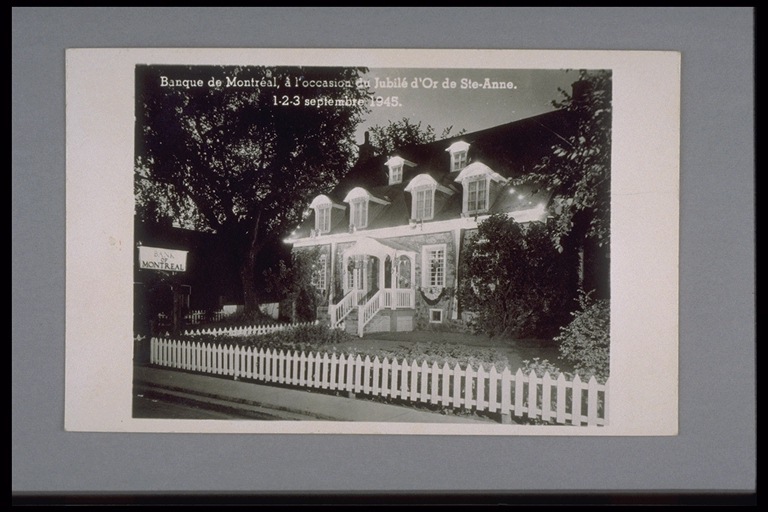 This work is carried out under the direction of architect Percy Roy Wilson (1900-2001), one of the precursors of modern architectural restoration in the Montreal area.